AustralianSuper is committed to a culture that embraces and fosters diversity and inclusion. Global research has observed a clear relationship between diversity and superior innovation, performance and employee engagement outcomes. Diversity and inclusion in decision-making teams has also been identified as a significant contributor to decision making effectiveness. The Fund is undertaking a number of initiatives to promote improved workforce diversity outcomes, particularly in regard to gender balance, pay equity and flexible work arrangements. Within the Investment team, this has included targeted initiatives to attract and retain female talent. We have ensured the recruitment process for our intern and graduate program delivers a minimum 50% female intake. Once on board, the Fund continues to support and develop talent through the implementation of programs such as ‘Thrive to Lead’. This customised program focusses on identifying emerging female leaders and building their people leadership and strategic skills to support their transition to leadership roles. AustralianSuper has also recently introduced new initiatives focussed on retaining a diverse workforce, with enhancements to our parental leave policy designed to reduce the adverse financial impacts to income and superannuation for (predominantly female) staff as a result of being absent from the workforce. 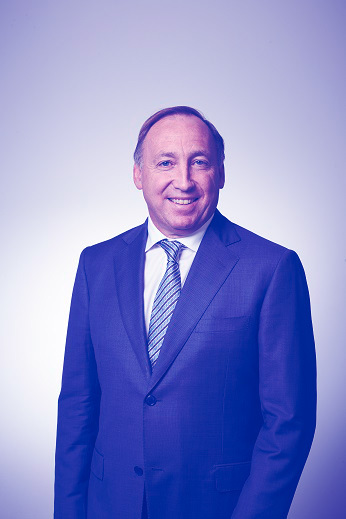 A key enabler of workforce diversity and inclusion is participative leadership – the Fund’s CEO Ian Silk is a Male Champion of Change and a Workplace Gender Equality Equal Pay Ambassador, and all senior leaders are accountable for demonstrating inclusive leadership behaviours through their performance plans. We are proud of our progress, and our achievement of the Employer of Choice for Women citation we have received from the Federal government’s Workplace Gender Equality Agency for the past six consecutive years. As one of the largest investment managers in Australia and a founding partner of Future IM/pact, AustralianSuper welcomes the opportunity to participate in this initiative to increase awareness of career opportunities for talented women in investment management.